Now that the Monsoons are in full gear in New Mexico, keep in mind that the rains can strip your soil from important nutrients such as iron. Iron is a nutrient that all plants need to function. Many of the vital functions of the plant, like enzyme and chlorophyll production, nitrogen fixing, and development and metabolism are all dependent on iron. Without iron, the plant simply cannot function as well as it should. The most obvious symptom of iron deficiency in plants is commonly called leaf chlorosis. This is where the leaves of the plant turn yellow, but the veins of the leaves stay green. Typically, leaf chlorosis will start at the tips of new growth in the plant and will eventually work its way to older leaves on the plant as the deficiency gets worse. Payne’s recommends to start adding iron to your soil now since we’ve been having higher than average rain fall. Continue adding iron once a month through the growing season. 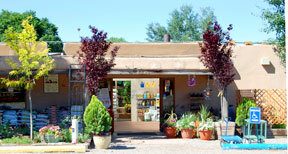 Stop by either Payne’s location and ask our gardening experts what product is best for your needs.